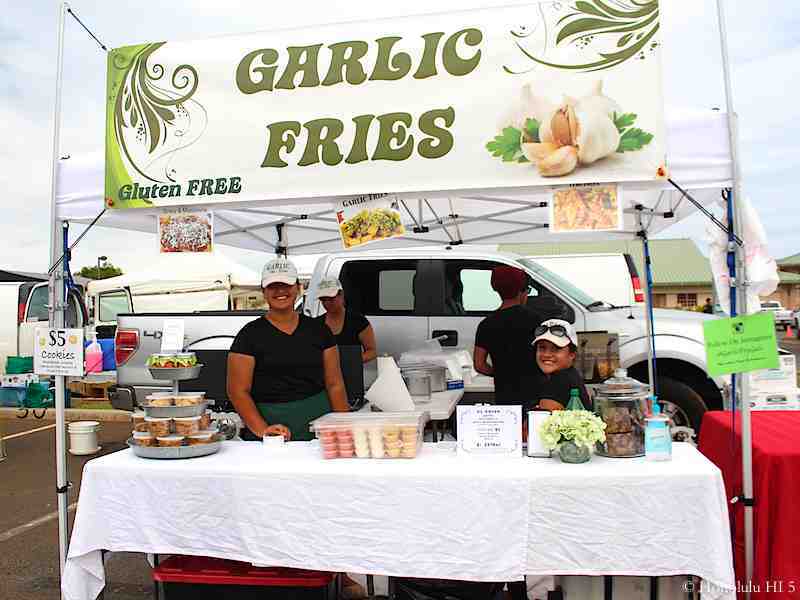 Located in the parking lot of Kapolei High School, the organizers try to present a cultural side of Hawaii, which makes it a little different. They often have cultural demonstrations and live Hawaiian music, for example. Things you don’t get a lot of other places. The West side of Oahu is home to many Native Hawaiians, so this aspect fits very well for Kapolei. 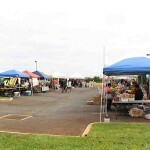 This is in the mid-size of the Oahu markets, usually 15 to 20 vendors, so you can spend a little time here. One thing it is famous for is the friendliness of its vendors, so the welcome mat is out. 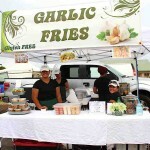 Ask about preparation or cooking tips, learn about the produce origins or just find out a little about the vendor. Sometimes those are the best things you take with you from your time shopping. Along with offerings from farms up the West Side, notably Kahumana organic farm, and elsewhere, there’s the food vendors to try out and some special items, like kulolo, a Native Hawaiian dessert made from taro and coconut. This isn’t available too many places so this is your chance to taste some. 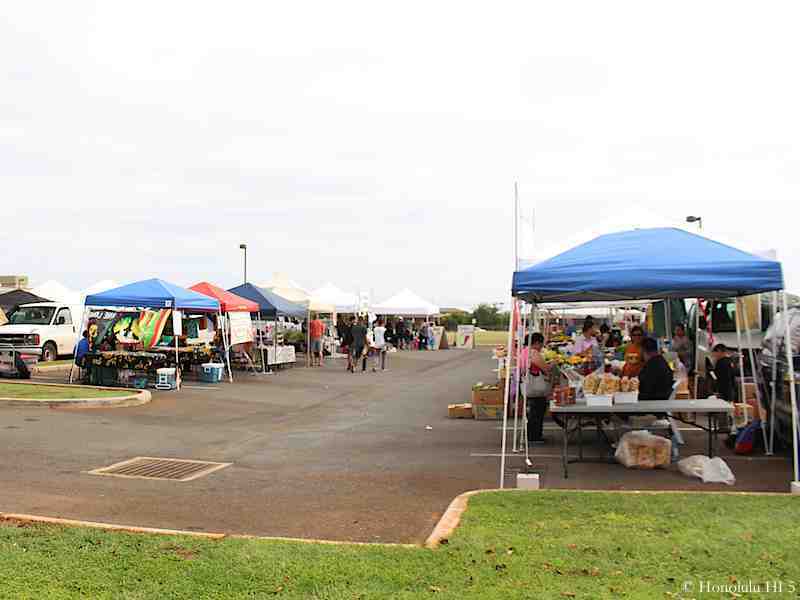 If you have small ones, Kapolei is also notable for often having activities for the keiki (kids) so they can have some fun while you look around. If you’re out in West Oahu, mark your Thursday calendar.